The security forces broke into the house of the Crimean Tatar around 7:45 a.m.
Lawyer Mammet Mambetov on air of the Hayat radio told the details of the search conducted on October 23 in the house of Fazil Ibraimov’s son, who is suspected of participating in Protest Glades. "Today a search was conducted in a house of the squatter settlement. It was in the city of Simferopol, Strelkovaya street in a house that has not yet been registered, dwellers have no documents yet. The security forces assumed that they had arrived to search the activist of the Protest Glades Fazil Ibraimov. In summer, a court decision on administrative arrest for 5 days was passed against him. The security officials assumed that they had come to him, but later it turned out, that his son lives there," the lawyer informed. Mambetov went on saying that the security forces broke into the house of the Crimean Tatar around 7:45 a.m. and presented a court decision under which they could search the premises. “As a result of the search, nothing was found and they started inquiring for Fazil Ibraimov. Nothing was found, nothing was seized, no protocols. At the moment, already, no one is there. Fazil Ibraimov's wife does not know what will happen next, because Ibraimov's address is different, he does not live on the Protest Glades, his son lives there with his child and his wife," he said. Mambetov stated that the day before a rally was held in the Protest Glades, at which people once again decided to appeal to state authorities directly in the Crimea and outside the Crimea demanding to legitimize the squatter settlement. 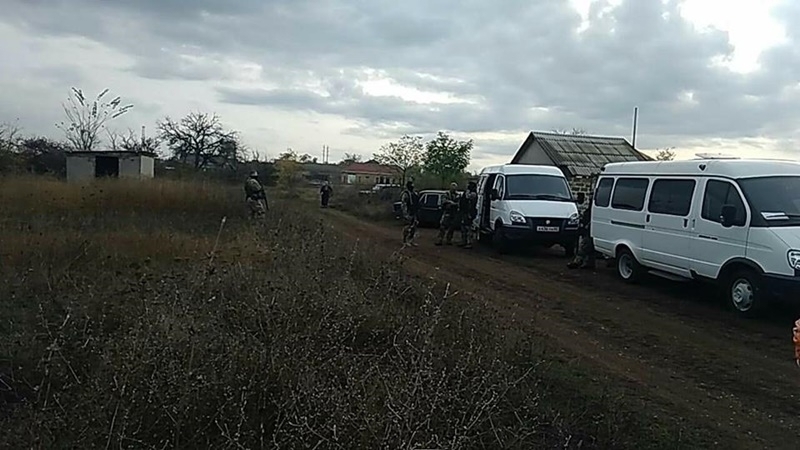 Earlier QHA reported that OMON officers were searching the house of the participant of Protest Glades Fazil Ibraimov in the occupied Simferopol.